Both green pepper and the bhut jolokia have been growing a lot lately. Jolokia has a whole lot of flowers, green pepper is getting ready to bloom too. Cucumber plants have grown very tall, our bamboo poles aren't even tall enough for them anymore! 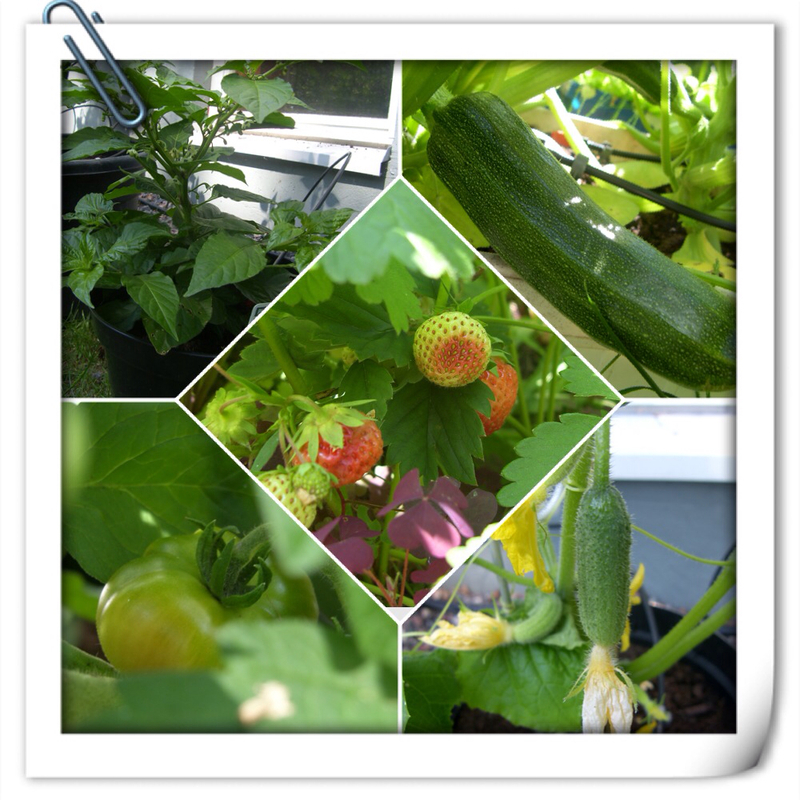 And little cucumbers are growing on both plants. Salad, rucola and spring onions continue to prosper on the hilltop, despite the continuous invasion of red clover (which I weeded out again today, after taking the picture). 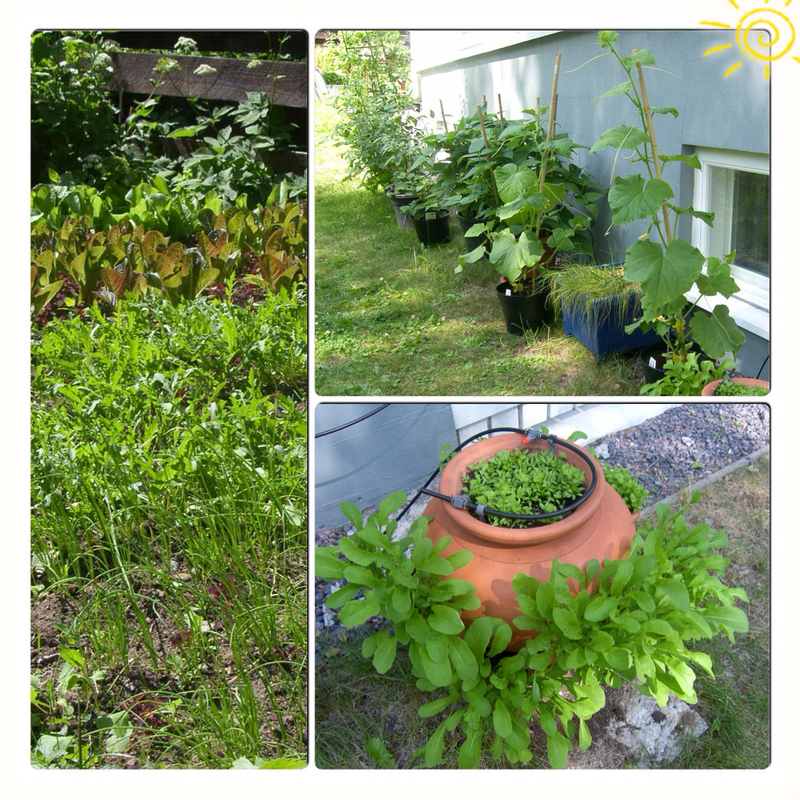 Rucola in the pot has gone wild, and parsley is growing nicely. Only sad ones on our sunny wall are those chives, for some reason or other. Zucchinis are growing by the day, soon we'll be having our first grilled ones! And the first tomato is starting to turn red. It also seems that our funny scarecrow is actully keeping the birds away, for now for the first time I have seen the strawberries stay intact while ripening.